The hinges fit onto the middle & side of the garage door panels and they work with all types of sectional garage doors from Aluminium Wooden, they are compatible with both single & double garage doors. As you can see in the above picture, they are numbered NO 1 - NO 4. As we move to the top of the door the hinges number rais. The first panel uses only NO 1 hinges. The second panel uses NO 2 hinges on the side & NO 1 hinges in the middle. The third panel uses NO 3 hinges on the side & NO 1 hinges in the middle. The fourth panel uses NO 4 hinges on the side & NO 1 hinges in the middle. 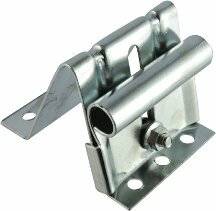 Below are examples of what a NO 1 Hinge will look like & Hinges 2 - 4. 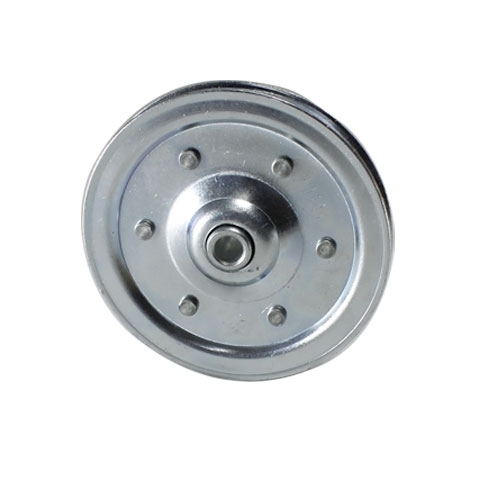 Nylon Roller or the Wheel is the roller which fits into the hinges NO 1 - 4 on the sides and runs inside the tracks. The Nylon rollers work with all types of sectional garage doors from aluminium to wooden doors, they are compatible with both single & double garage doors. Below are examples of what the nylon rollers look like. * Take note that the roller fits in the slot away from the door, closest to you. 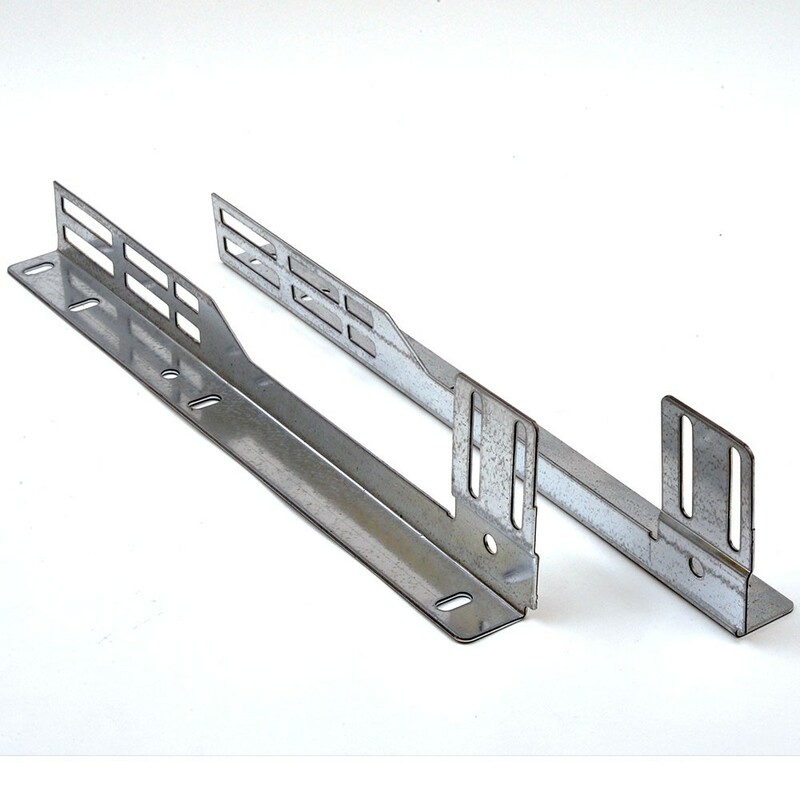 The flag brackets are the brackets which are mounted to the wall and the track angles are fixed too, the flag bracket also connects the horizontal and vertical tracks. Below is an example of what the flag bracket looks like. 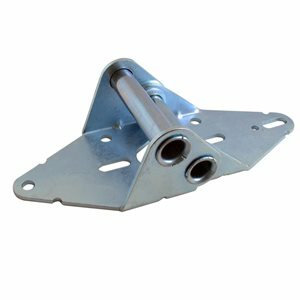 The adjustable top bracket fits onto the top side of the very last or top garage door panel and it works with all types of sectional garage doors from Aluminium Wooden, they are compatible with both single & double garage doors. The side bearing plates are bearings which are mounted to the tracks & the torsion tube which is also known as the spring pipe runs through. 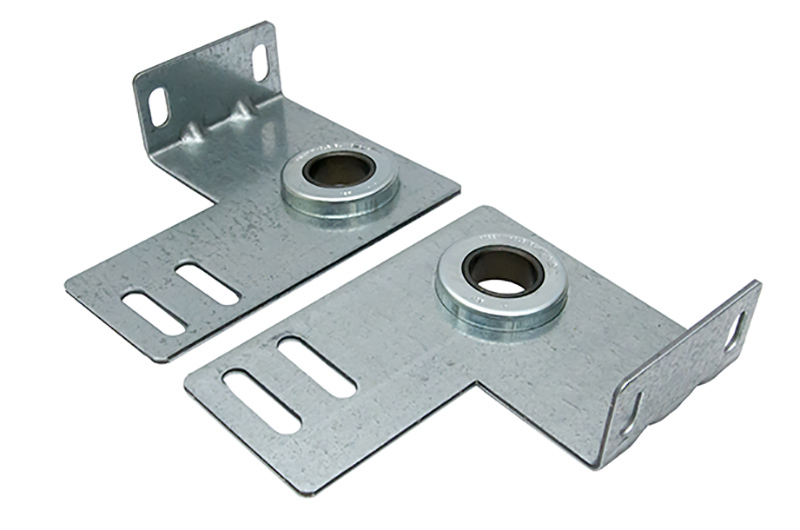 The side bearing plates work with all types of sectional garage doors from aluminium to wooden doors, they are compatible with both single & double garage doors. 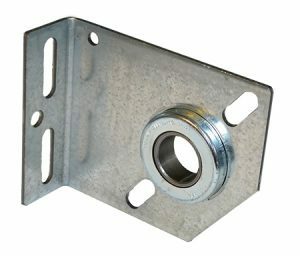 The centre bearing plate is the bearings which are mounted to the wall in most cases in the middle & the torsion tube which is also known as the spring pipe runs through. The centre bearing plate work with all types of sectional garage doors from aluminium to wooden doors, they are compatible with both single & double garage doors. The cable drums are the drum mechanism on which the cable rolls onto. The cable drums work with all types of sectional garage doors from aluminium to wooden doors, they are compatible with both single & double garage doors. 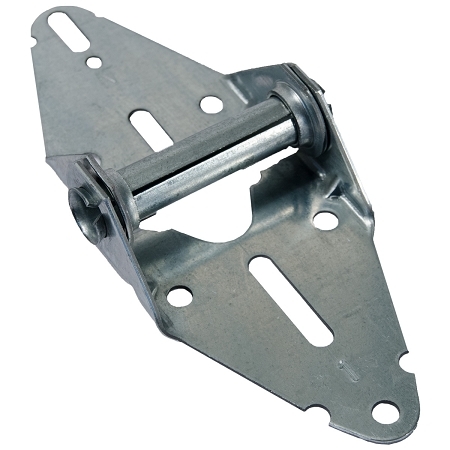 Torsion lifting cables are the cables for a garage door which is attached to lifting brackets & cable drums. 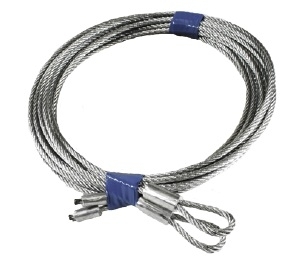 The lifting cable works with all types of sectional garage doors from aluminium to wooden doors, they are compatible with both single & double garage doors. 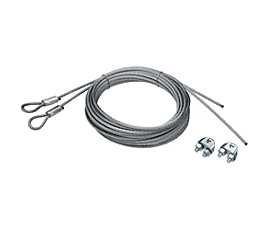 Tension lifting cables are the cables for a garage door which is attached to lifting brackets & track pulley. 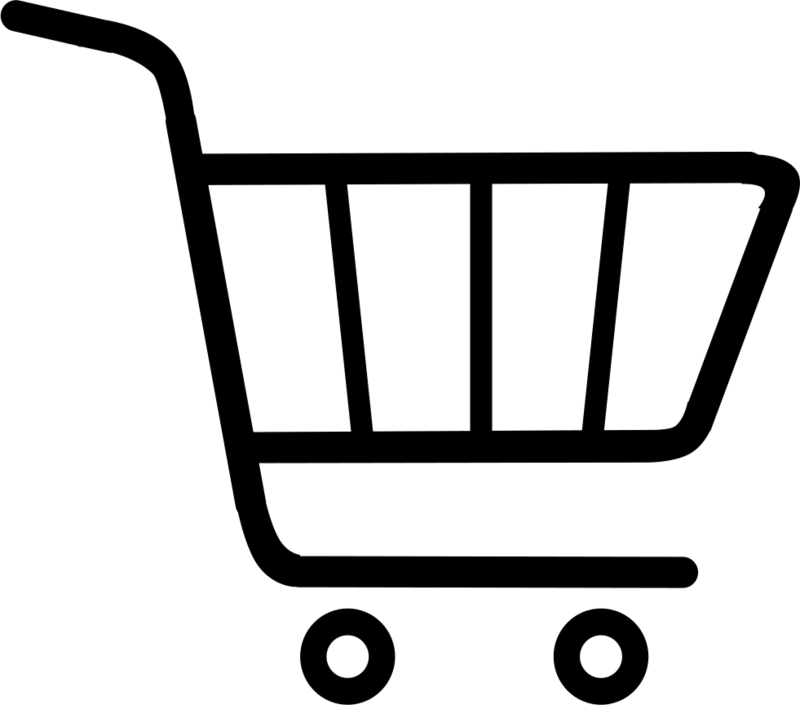 The tension lifting works with all types of sectional garage doors from aluminium to wooden doors, they are compatible with both single garage doors only. 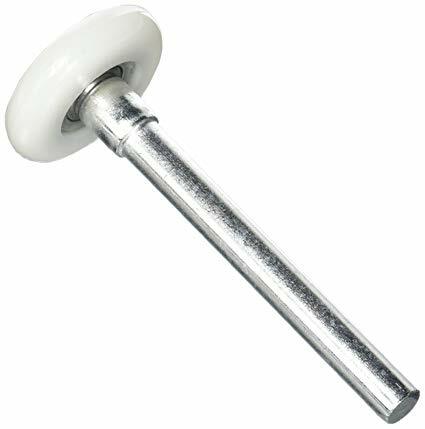 The Torsion spring is the spring which connects to the centre bearing & spring pipe. The torsion spring works with all types of sectional garage doors from aluminium to wooden doors, they are compatible with both single & double garage doors. 1 X 80 KG TORSION SPRING - IF THE DOOR IS HIGHER IT WILL NEED A CARAVAN SPRING, SAME SIZE. 1 X 90 KG TORSION SPRING - IF THE DOOR IS HIGHER IT WILL NEED A CARAVAN SPRING, SAME SIZE. 2 X 80 KG TORSION SPRING - IF THE DOOR IS HIGHER IT WILL NEED A CARAVAN SPRING, SAME SIZE. The tension spring is the spring which connects to the spring bearing & cable. 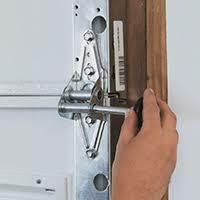 The tension spring works with all types of sectional garage doors from aluminium to wooden doors, they are compatible with both single garage doors only. 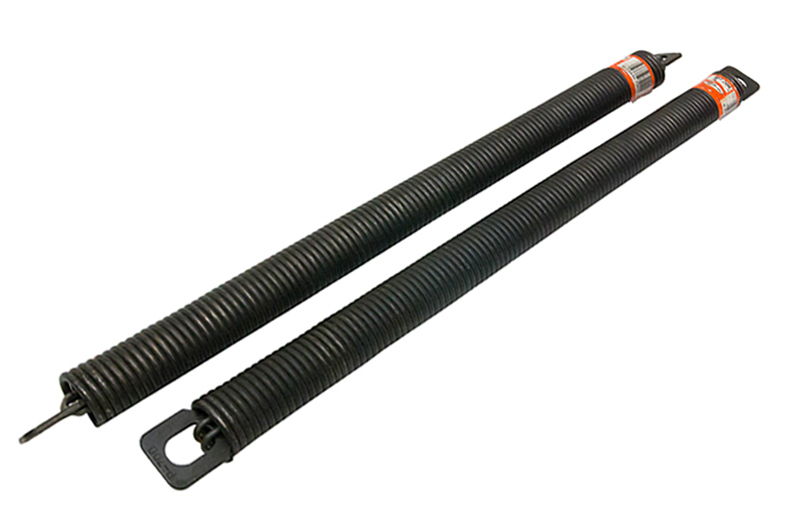 2 X 45 KG TENSION SPRING - THE TENSION SYSTEM DOES NOT SUPPORT CARAVAN SIZE. 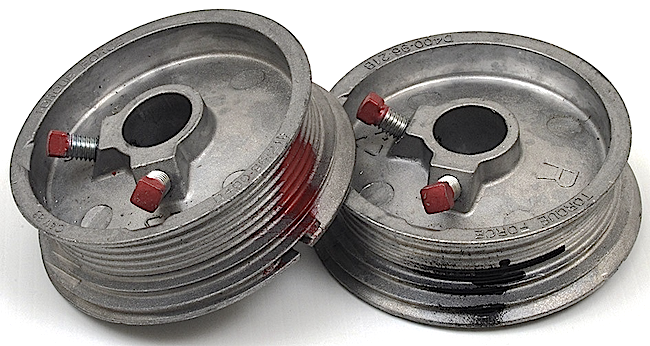 2 X 55 KG TENSION SPRING - THE TENSION SYSTEM DOES NOT SUPPORT CARAVAN SIZE. 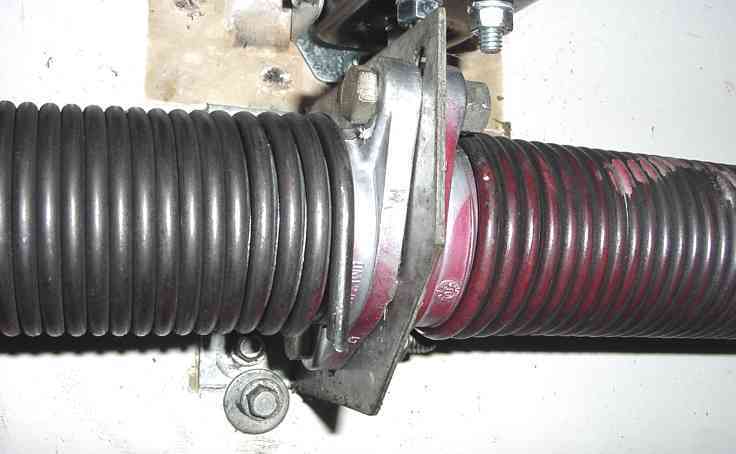 2 X 75 KG TENSION SPRING - THE TENSION SYSTEM DOES NOT SUPPORT CARAVAN SIZE. 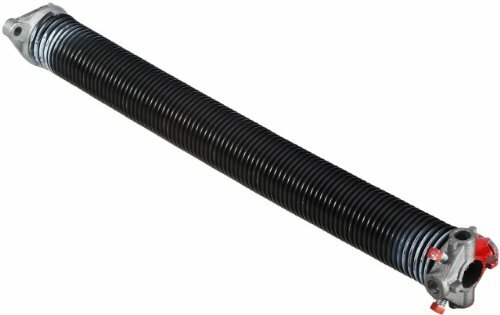 1 X 80 KG TENSION SPRING - THE TENSION SYSTEM DOES NOT SUPPORT CARAVAN SIZE. 1 X 90 KG TENSION SPRING - THE TENSION SYSTEM DOES NOT SUPPORT CARAVAN SIZE. 2 X 80 KG TENSION SPRING - THE TENSION SYSTEM DOES NOT SUPPORT CARAVAN SIZE.